The Kenya Lionesses squad to contest the the 2018 Africa Cup 7s in Botswana between May 26 and 27 has been named by head Coach Kevin Mwema Wambua. From the squad that played at Hong Kong 7s and at the Gold Coast commonwealth games, Wambua has effected four changes bringing on Prisca Nyerere, Diana Awino, Sophia Ayieta and Sarah Oluche in place of injured Rachel Mbogo, Stacy Owuor, Doreen Remour and Celestine Masinde. Dependable Philadelphia Olando and Sheila Chajira are in the squad and so is Michelle Omondi, Grace Adhiambo, Linet Moraa, Judith Auma, Camilla Cynthia and speedster Janet Okello. Justifying the inclusions, coach Wambua said; "There are new players coming up well and their inclusion was based purely on performance. They are tried and tested and fit in well in the team setup,"
In Botswana Kenya will play Madagascar and Senegal in pool A. 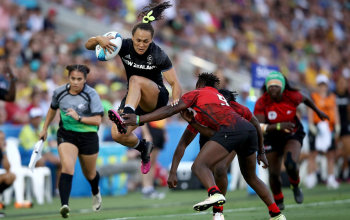 Pool B has Tunisia, Uganda and Zimbabwe while Morocco, Botswana, Mauritius and Zambia make up pool C.
Defending champions South Africa pulled out of the tournament as they are preparing for the Sevens World Cup to be held in USA in July. 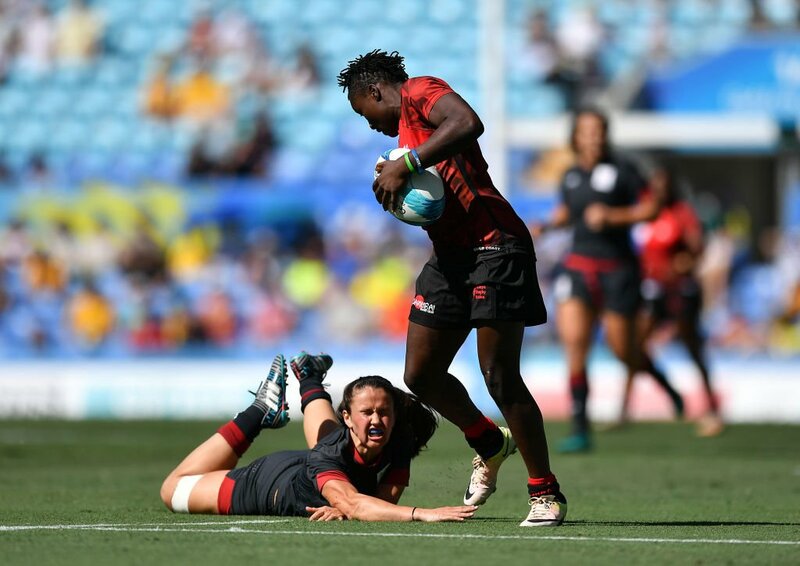 Kenya has lost to South Africa in the last three edition of the Africa 7s including last year that saw the Lady Blitzbokke secure the only slot to the World Cup. Pool C: Morocco, Botswana, Mauritius, Zambia.